What is your calling as a parent? Raising good, moral children? Folding clothes and providing a good home? In the busyness and humdrum of our ordinary days, it’s easy to lose sight of the bigger picture that God has called us to in parenting. A picture that includes shepherding our children with both grace and truth. 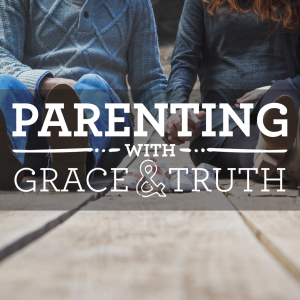 Join us for a 6 week study as Jamie and Kathy Flowers help to unfold this larger vision of how the gospel roots and re-orders our parenting around grace and truth. Want more information? Contact Jamie Flowers!